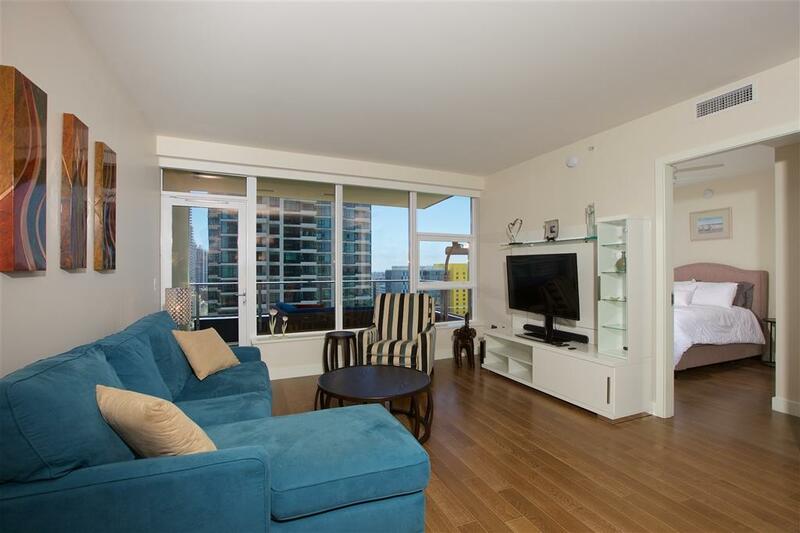 Gorgeous south-facing residence showcases spectacular bay views & breathtaking sunsets. Relax at the end of the day enjoying water views from every room. 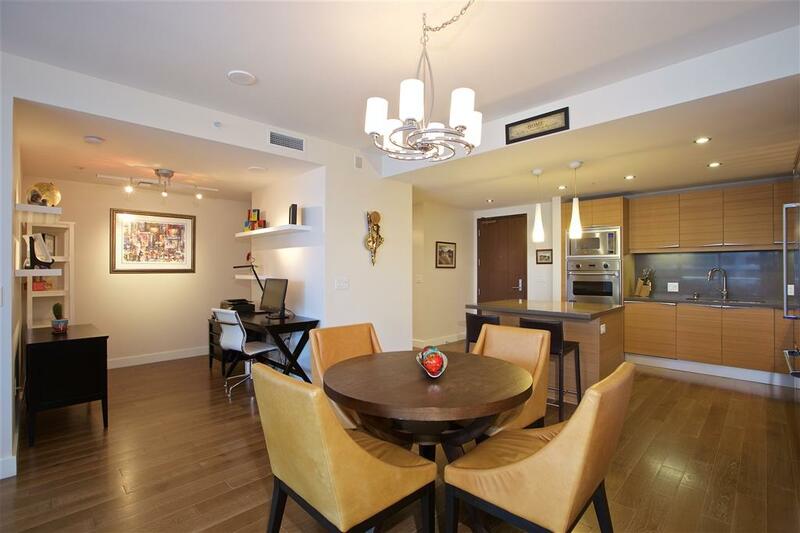 Highly sought after 2 BR plus den creates the perfect home/office solution for urban dwellers. Chic imported Snaidero cabinetry, elegant neutral ceasar stone, Viking stainless steel appliances & wine fridge compliment the open kitchen/dining/living space - perfect for entertaining. Kahrs wood flooring flows seamlessly throughout unit. See supplement Master bedroom features expansive window views of bay, generous closet space with ensuite bath a step in shower and soaking tub. Full size laundry ROOM with new LG front load washer & dryer and ample storage. An additional storage unit located in parking structure is also included. Rising dramatically over San Diego Bay into the city's graceful skyline, the 36 iconic Bayside property features world class amenities include a wine tasting lounge, screening room, pool, spa, sauna, steam room, fitness center and front desk service - with reasonable HOA fees compared to new construction properties. 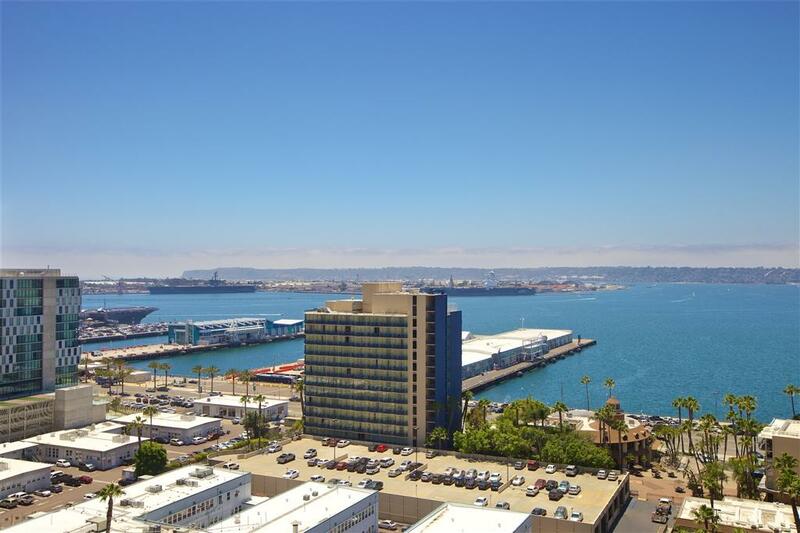 A short walk to amazing restaurants and cultural events in Little Italy and the exciting new restaurants and venues other Embarcadero bay front. 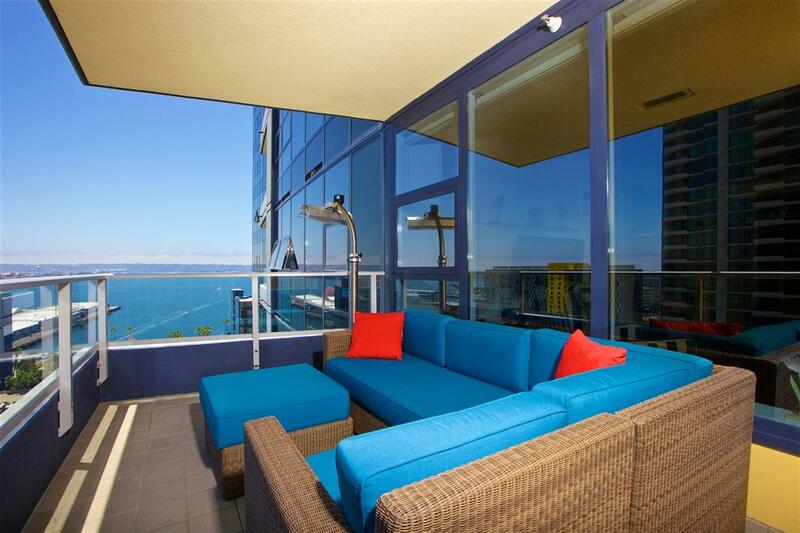 Luxury, waterside urban living at it's finest.